Over the last 20 years, his research has focused on surveying genomes & transcriptomes and discerning the underlying genetics controlling biological processes and pathological states. UNE graduation was followed by PhD at UQ and postdoctoral studies at the Queensland Institute for Medical Research and the MRC Mammalian Genetics Unit & Mouse Genome Centre in Harwell, UK. He helped establish the Institute for Molecular Bioscience’s Expression genomics laboratory and then the Queensland Medical Genome Centre. 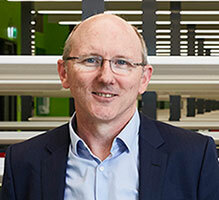 In 2011 he became a Founding Fellow of the Royal College of Pathologists of Australasia’s Faculty of Science. 1997 Philippines National Academy of Sciences Technology, Outstanding Young Scientist Award in the field of Botany in 1997, The most outstanding Australian Alumna the Philippine Australian Alumni Association (2015). Professor Damasa (Demi) Magcale-Macandog gained her PhD AT UNE in 1995. 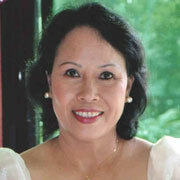 She returned to teach at Los Baños College and displayed outstanding leadership and professional skills, particularly with respect to research conceptualisation, research conduct and synthesis, and integration of research results to the extent that she was awarded the Philippines National Academy of Sciences Technology, Outstanding Young Scientist Award in the field of Botany in 1997.In 2015, Demi was recognised as the most outstanding Australian Alumna by the Philippine Australian Alumni Association. UNE was similarly delighted to recognise her with a Distinguished Alumni Award. Grant Hehir commenced his term as Auditor-General for Australia on 11 June 2015. Grant previously served as the Auditor-General of NSW between November 2013 and June 2015. He worked for the State Government of Victoria between 1998 and 2013 in a number of senior roles including as Secretary of both the Department of Treasury and Finance and the Department of Education and Training. 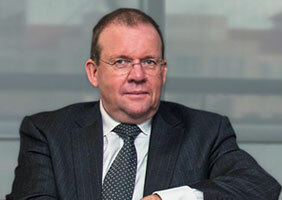 He also served as Chair of the Victorian Leadership Development Centre and CenITex, and as a Director of the Treasury Corporation of Victoria and the Victorian Funds Management Authority.